Post originally featured on Creative Dundee. ‘What assets does your company have?’ As someone who runs a small creative business, having to answer this question even very occasionally still gets me wondering about the value we create. ‘None’ or more honestly, ‘connections with an incredibly diverse range of people of all ages, disciplines and career stages.’ I’m not entirely sure how this second response would be viewed, but it’s the most accurate, as we don’t have much in the way of traditionally thought-of assets. Our network, our community, is everything to us and I wonder if there will ever come a time that networks – social capital – will be valued in the same way bricks, mortar and physical stuff currently is. With 5 weeks to go until Mass Assembly, which Creative Dundee and Creative Edinburgh are co-producing, I wanted to share how and why this event has come about, and what I’m most looking forward to at the forum. If you are based in Scotland we also want to make sure you know about the travel support on offer – read on to find out more. Creative Dundee and Creative Edinburgh are independent organisations, but over the last couple of years we’ve worked together on a few projects, such as developing resources for new creative hub leaders – the Creative HubKit for British Council; and working with Creative Stirling on the Creative City Networks mapping review. We don’t always work together and our business models are actually quite different, however we share a common belief that by connecting and supporting creative networks, it gives strength to our sector and our respective cities. We aren’t alone – there are many organisations, individuals, clusters, collectives, hubs, communities, networks, and co-operatives – building social capital formally, informally, remotely, rurally and in urban settings across the length and breadth of the country and internationally. 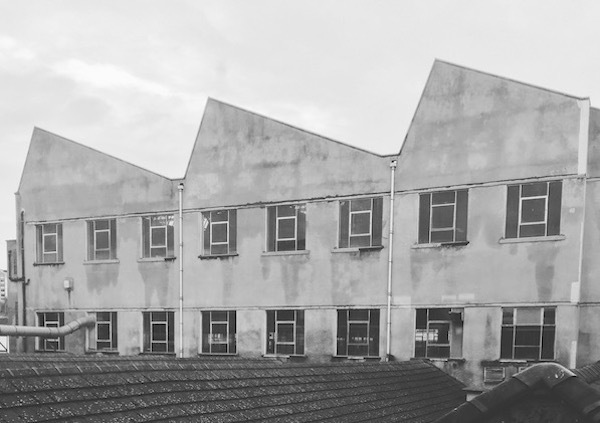 The different sizes, shapes and types of creative hubs and networks make it a really exciting space to be part of, from artist-led work spaces to design pop-ups, and tech meet-up events. Hubs can provide stability, connection and visibility to their communities and are often ‘nudging’ their sector/locations to do more and do it better. Balancing this against ensuring economic prosperity, providing cultural vitality and also social impacts for communities can be tough. Of course there are no magic formulas for finding the perfect business model to make hubs sustainable. Some moments can feel super precarious and a struggle, whilst others provide encouragement that you’re on the cusp of something which brings the real joy and momentum. It may sound like a bit of a catchphrase but it genuinely is the community that keeps you going at all times, the good and not so good. Peer sharing is incredibly important for collective growth, as is interconnected working – exchanging, learning, collaborating and being flexible to adjust what we do, as we go. That’s why we wanted to run this forum, Mass Assembly, to bring people together, celebrate and explore what the future could look like for us all. Throughout the day we’ll discuss common challenges: looking at business models, how to build relationships within your place, and how to engage with communities you want to reach. The opportunity to spend time, which I know is tight to find, with a mass room full of people also interested in how we build stronger communities, is my main driver. We have plenty of time in the programme for everyone to meet and chat – this is a big focus of the forum. For me personally, I’m really fascinated by the future of organisations. How small organisations can be responsive to the challenges and opportunities which the world is throwing at us; and at the other end of the spectrum, how big oligarchic businesses will fare in future. How small and big learn from each other and work more closely together is what I’m really up for exploring. Given the way the working world appears to be heading, robots v jobs, and other fairly dim future prophecies, it feels that in many ways creative professionals who already work in a portfolio career way (or increasingly described as the gig economy), are actually more prepared for the future. Although it might not always feel like it to us, our sector is used to working collaboratively, sharing resources and expertise with peers, and that’s a pretty strong base to build from. Alix Zacharias co-founder of August in New York, an incredibly open company who do great work on responsive organisational design. Canan Marasligil is a freelance writer/editor and curator based in Amsterdam, working internationally who is the ultimate translator in all senses of the word. Aleksandra Savanović co-founder of Nova Iskra in Belgrade, which is a physical hub running a number of great projects to connect their community to opportunities. Steve Hamm from Swarm, in London who do tons of interesting collaborative projects; Steve’s focus is on finding creative ways to research, fundraising and measure impact. Then we’ve also got the Live Audit taking place throughout the day. It’s the first time (that we’re aware of) that this will happen, and will be a really interesting chance to be part of exploring what the landscape looks like in Scotland right now for hubs/networks and the future of collaborative working. What else is going on at that time? As a UNESCO City of Design, Dundee is hosting the first Dundee Design Festival from 25th to 28th May 2016. Within the stunning West Ward Works and other venues across the city, the four-day festival programme includes over 30 exhibitors and more than 30 talks, workshops and performances. 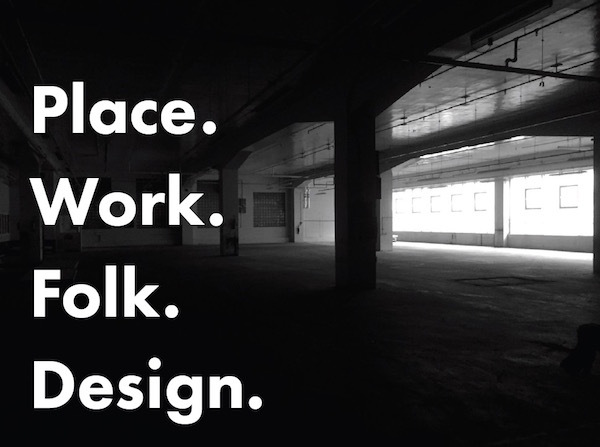 The theme for the first Dundee Design Festival is ‘Place. Work. Folk. Design.’ which explores the potential of design to connect the city’s communities and improve our everyday lives. Focusing on design for health and wellbeing and including the best of digital design, computer game design, textiles, and architecture, this ground-breaking work examines how design involves everyone, connects everything, and makes anything possible. The festival is also part of Ignite Dundee, a month-long celebration of culture and creativity across the city, it’s also well worth checking out their programme too. In the evening after Mass Assembly, we’ll be running the popular Pecha Kucha Night Vol 15 with a great mix of speakers in a super-speedy format. Individuals have 20 images and just 20 seconds per image to speak about their topic. Entertaining, thought-provoking, and always inspiring. Although Scotland’s creative communities are pretty well networked, steep travel costs can be a massive barrier to attending events. We’re pleased to have travel support for those based in Scotland keen to attend Mass Assembly, thanks to Creative Scotland who are supporting the forum. It’s really straightforward, just complete the super short form here. If you are still reading, and are interested in collaborative working, then it’s for you, wherever you are from and whatever you do. We’d love to see you on the 26th May in Dundee. West Ward Works, former printing factory. In December 2014 Dundee was awarded UNESCO City of Design status. Dundee is the first city in the UK to be given this competitive title, along with Helsinki, Turin, Bilbao and Curitiba who join 12 others including Kobe, Montréal, Seoul, Berlin, Buenos Aires and more. Why Dundee? Here are a few articles I have either written or contributed to about Dundee and design. Creative Dundee also commissioned the below film to coincide with the City of Design announcement, showcasing the great creative talent and scene which continues to grow and is dependent on both the input of individuals and organisations – big and small. Earlier this year, Creative Scotland commissioned EKOS to study the impact of three creative city networks, Creative Dundee, which I co-founded; Creative Edinburgh and Creative Stirling. Each network is independent, focussing on their own distinctive aims and objectives tailored to each of the three cities and has received funding support from Creative Scotland.